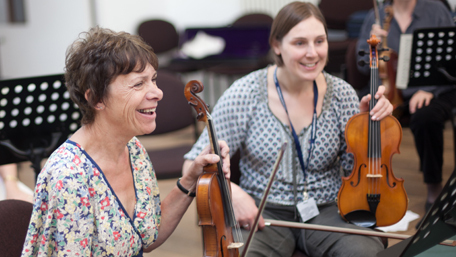 This friendly course is designed to improve beginners' confidence, fluency and musical awareness. Most of the music won't demand more than first position playing and will be in easy keys. This course provides an excellent opportunity for elementary students to experience the joys of playing in full harmony.